I first heard the radio documentary The Elvis Presley Story in the fall of 1971. I had just finished basic training and had been sent to tech school at Fort Benjamin Harrison in Indianapolis for training to become a military journalist. As a college graduation present that June, my father had given me my first “boombox” (although that term hadn’t been coined yet). That thing was a wonder of technology to me at the time. Besides having an AM/FM radio, it played and remotely recorded on newfangled tapes called cassettes. One day my barracks roommate pointed out that my mini-stereo would actually record radio broadcasts onto cassette tape. Amazing! So when I heard a radio station announcing its coming broadcast of a 12-hour documentary about Elvis Presley, I ran out to K-Mart and bought a cheap package of blank cassette tapes. When the broadcast began early on a Sunday morning, I was ready to record The Elvis Presley Story all day long. The documentary was the work of author Jerry Hopkins and Watermark, Inc., producer Ron Jacobs. Although many of Elvis’s songs were included, the dozens of interview segments in it were the heart of the program. Hopkins culled these excerpts from his two years of recorded research for his Presley biography to be published in 1972. Listening to The Elvis Presley Story for the first time was a revelation to me. Although I had been an Elvis fan for eight years at that point, I knew very little about his life and work. The coming Hopkins’ biography would be the first serious attempt to document Presley’s life. Assorted biographical sketches on segments of Elvis’s life comprised all that I had previously known about him. Suddenly, heretofore shadowy figures in Presley’s career came to life as I heard their voices on the radio that Sunday in October—Bob Neal, Sam Phillips, Scotty Moore, Marion Keisker, George Klein, D.J. Fontana, Gordon Stoker, Ray Walker, Alan Fortas, Otis Blackwell, Bones Howe, Marty Lacker, and many, many others. Wink Martindale, a Memphis DJ and TV host with ties to Elvis in the fifties, enthusiastically narrated the documentary. According to the Variety ad, the program had first been offered in July to stations that carried Watermark’s weekly “American Top 40” program. As of August 5, 1971, 99 radio stations around the country had booked the Elvis program for their markets. An article in Billboard on September 4, 1971, announced that the documentary had been sold to the British Broadcasting Corporation, which planned to air it exclusively in the U.K. beginning in January 1972. 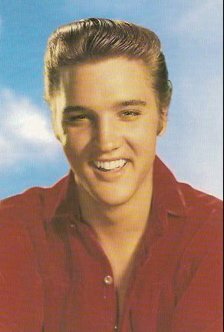 So fascinating was The Elvis Presley Story to me when it was first broadcast, that I listened to it several more times in the following months. After finishing tech school, I was sent to Keesler Air Force Base in Biloxi, Mississippi. During the summer of 1972, I drove from Biloxi to Washington D.C. for a reunion with some of my fraternity brothers. I brought my boombox along and listened to my recorded tapes of the Elvis documentary in the car until the batteries ran out of power. Another time in Biloxi, a radio DJ friend of mine showed me the box of Watermark vinyl LPs his station used to broadcast The Elvis Presley Story. Decades later these radio master LPs still occasionally show up for sale on eBay. 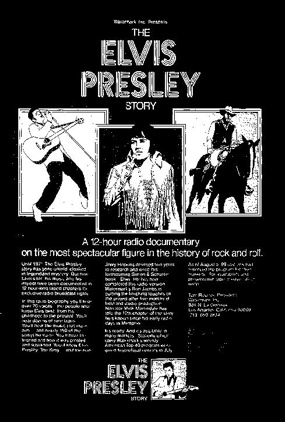 In January 1975, Watermark marketed an expanded version of their Presley documentary. Hopkins, Jacobs, and Martindale gathered in Los Angeles to record a 13th chapter to cover the three years that had passed in Presley’s career since the original version aired. A full-page Billboard ad on January 18, 1975, offered the updated version of The Elvis Presley Story to radio stations. A week later a Billboard article provided details on the update. The show now consisted of 13 chapters of 51 minutes each, with 117 60-second commercial slots available. Radio stations could order the program in stereo or monaural on either 13 LPs or tapes. Included now were more than 80 interviews and 18 new songs, bringing the total number of tunes in the set to nearly 180. The package came with an operations manual, ad layouts, and a press kit. Watermark president Tom Rounds announced that the documentary had been revamped in honor of Elvis’s 20th year in show business and his 40th birthday. Rounds told Billboard that radio stations in over 300 markets had already ordered the set and that orders were still pouring in. A third and final version of The Elvis Presley Story was rushed out soon after Presley’s death in August 1977. 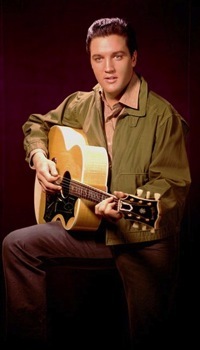 Among those who offered tributes to Elvis in the revamped final chapter were D.J. Fontana, J.D. Sumner, Carl Perkins, Alan Fortas, George Klein, and Sammy Davis Jr.
It’s closing in on 40 years now since the The Elvis Presley Story was first heard on radio airwaves. Listening occasionally to parts of those tapes that I’ve kept for all these years can still bring back that special feeling I knew as a young Elvis Presley fan. However, with all that was learned about Elvis in that documentary, also comes the sad realization of what we didn’t know about him back then. In the final analysis, Watermark’s The Elvis Presley Story accentuated the Presley myth, the fairytale that all was bright and beautiful in his life at a time when his seduction by the dark side was well underway. 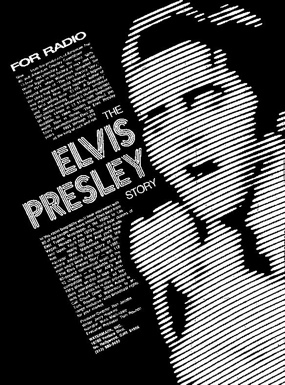 The only negative comments I can recall in the entire 13-hour production are a couple of expressed disappointments concerning his movies and Phil Spector’s assessment that Elvis’s songs in seventies sounded “like Peggy Lee’s records.” Neither Elvis nor Colonel Parker contributed to the documentary, and those few in Presley’s inner circle who did, such as Alan Fortas and Marty Lacker, were still manning the barricades that hid Elvis from the real world. "The Elvis Presley Story accentuated the Presley myth, the fairytale that all was bright and beautiful in his life at a time when his seduction by the dark side was well underway."